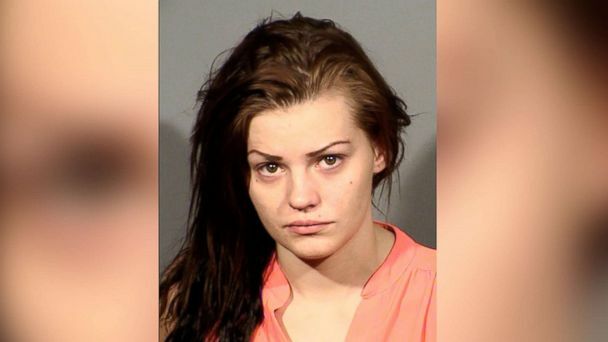 The woman who allegedly hit and killed a manicurist after skipping out on her $35 bill has been arrested, according to police. The Las Vegas Metropolitan Police Department announced that Krystal Whipple, 21, was arrested in Glendale, Arizona, Friday morning after investigators learned about her whereabouts. Whipple's mother, Sharon Whipple, and grandmother, Carol Whipple, told ABC News that she was spotted and recognized by a civilian in Arizona, who then called authorities. On Dec. 29, Whipple told workers at the Las Vegas nail salon that she needed to go to her car to retrieve cash after her credit card declined, police said. When victim Ngoc Q. Nguyen, saw Whipple starting the car, she rushed toward the vehicle and was struck, police said. Surveillance video shows Nguyen running out of the salon in an attempt to catch Whipple before she drove off in the black Chevrolet Camaro rental car, police said. Nguyen ran out in front of the car, while her husband ran to the back, and the car accelerated through the parking lot and struck Nguyen, dragging her for about 50 feet, the video shows. Nguyen later died at a local hospital, and the car was found abandoned in a nearby housing complex, police said. Additional details on Whipple's arrest were not released. Sharon Whipple and Carol Whipple told ABC News that she is relieved that her daughter has been located but had hoped she would have "turned herself in" instead. Nguyen is survived by her husband, three daughters and several grandchildren. ABC News' Connor Burton, Karine Hafuta and Bopha Phorn contributed to this report.